At Victoria Pediatric Dental & Orthodontics, helping children form a positive relationship with regular dental care as early on in their lives as possible is what our team strives for. From the very first appointment, our excellent pediatric dentist will approach their treatment from a gentle and personalized perspective, providing hand-picked services that are a good match for their growing smile. If your family is ready to schedule a visit, contact our Victoria, TX office today! 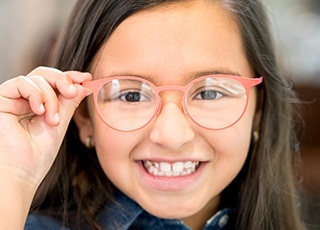 We strongly recommend that children attend regular checkups and cleanings every six months or twice each calendar year. 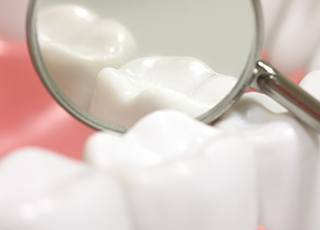 During these visits, our team will thoroughly examine their mouth for any concerning signs of decay and decay, remove harmful accumulations of plaque from their enamel, and teach them about brushing and flossing at home. This way, their smile can stay strong and confident through every stage of development! When your daughter or son is first learning how to properly practice oral hygiene at home, there can be some unfortunate gaps in their coverage. For instance, the chewing surfaces on the back teeth (the premolars and molars) are often difficult for their little arms to reach, leaving these teeth especially vulnerable to cavities. Thankfully, dental sealants can provide these teeth with some extra special protection. We’ll paint this safe, plastic-based substance directly over the pits and grooves, creating a tough barrier that will stand up against food particles and infectious bacteria. You can find fluoride in certain foods, oral hygiene products, and nearly all sources of tap water here in the United States. This is good news because research has shown that regular exposure to fluoride from a young age can result in stronger, healthier teeth over the years! 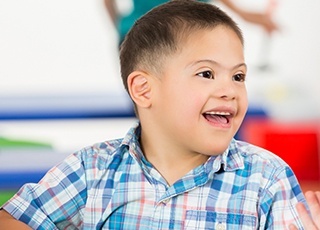 If we determine that your child isn’t receiving that important exposure in their everyday life, our team can provide professional treatment as a part of their regular checkups. The process is simple – we’ll have them wear a set of oral trays filled with powerful fluoride gel for just a few minutes at a time. Even small dental flaws, like chips in the enamel or minor gaps between teeth, can hurt your child’s self-confidence over time. 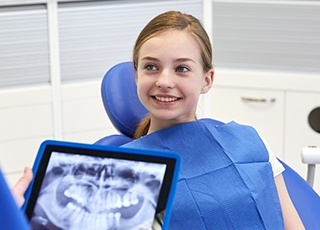 At Victoria Pediatric Dental & Orthodontics, we can these issues quickly and easily with the help of dental bonding. The process only takes one appointment, during which our team will carefully apply lifelike composite resin to the desired area. After sculpting it into a pleasing shape that hides the imperfection and hardening it in place, your loved one will be ready to smile proudly once more. Our team works hard to protect our special patients from the threat of cavities, but despite our best efforts, they can still take root here and there with a growing smile. 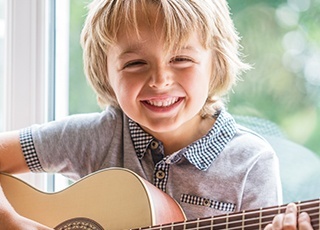 We offer tooth-colored fillings that blend right in with natural enamel for a more comfortable and attractive improvement that kids won’t even notice. When compared with age-old amalgam, this restorative procedure is less sensitive to temperature changes, preserves more healthy tooth structure, and lasts longer. 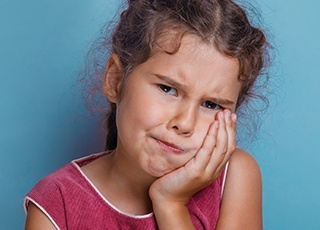 Does your son or daughter have a baby tooth that’s become extremely pained or sensitive? Extracting the tooth before it’s ready doesn’t have to be the only option available to them. As an alternative, our doctors can perform a pulpotomy. Pulpotomy is similar to a root canal. 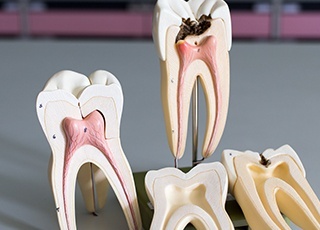 However, while root canals are designed to remove all of the tooth’s inner pulp in order to treat the infection, this procedure leaves the nerves in place to aid further dental development. As a final touch, a custom-made dental crown will cover the tooth on top in order to protect it until it’s ready to fall out all on its own. Children are energetic, adventurous, and often accident-prone. These qualities all together can result in a fair number of dental emergencies over time if parents aren’t careful. Thankfully, our capable doctors and staff are here to help in these scary situations. Please contact our Victoria practice right away for experienced guidance; if necessary, we’ll find the time to fit you and your loved one in that same day for an appointment in order to relieve their pain. We’re here when you need us! At Victoria Pediatric Dental & Orthodontics, we want to help every child achieve excellent, lifelong oral health. If your loved one has a physical or mental disability that makes regular health care appointments more challenging, don’t hesitate to schedule an appointment at our office. Our team is highly experienced with these special cases and can provide any necessary accommodations without worry. 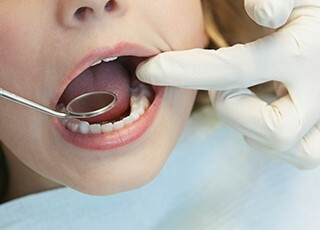 Sedation dentistry is also available to soothe children and help them feel at ease throughout the treatment process.